If we think that we are all Facebook users, it would not be a lie to say that facebook is indispensable. Some Facebook users may add unwanted situations by adding contacts from their friends list. In these cases, we can hide the list of friends without getting angry with a few settings, and we can often avoid getting in trouble. Here in this article we will tell our friends of the hidden facebook. There is a section about who can see your shares, thinking you're paying attention in sharing settings. 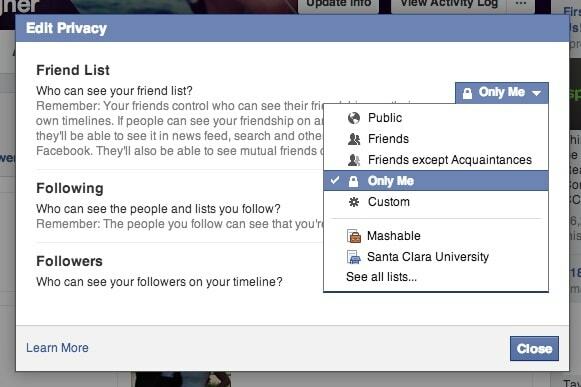 Here you can set who can see your friends list like this in the Facebook privacy settings. We're in Facebook privacy settings So what happens if you choose which option? Public: Anyone who has a Facebook account can see your friends list. Friends: Only people you added as friends can see the list. Only Me: You can see the list of friends, but your friends can see the list of mutual contacts. Custom: You can choose which friends can see the full list of your friends.